There are approximately 10 million U.S. adults with ADHD, 9 million of whom are undiagnosed. ADHD symptoms were first described in the late 1700s, primarily among hyperactive boys. It was described variously over 200 years as “fidgeting”, “defects of moral control”, “hyperkinetic reaction”, “minimal brain damage”, and eventually ADD (Attention Deficit Disorder) in the 1980s and ADHD today. Because the natural tendency toward hyperactivity decreased with age, ADHD was originally thought to be a developmental disorder that disappeared in mid-to-late adolescence. When medicines were developed and used in ADHD treatment for young boys, physicians stopped prescribing them around mid-adolescence because it was presumed the condition had remediated. They were wrong. We know now that ADHD persists into adulthood for about two-thirds of ADHD youth. ADHD wasn’t widely recognized in girls until the mid-1990s when it became clear that girls weren’t being appropriately diagnosed since the symptoms aren’t as noticeable. Girls with ADHD show less of the physical hyperactivity of boys, but suffer from “dreaminess”, “lack of focus”, and “lack of follow-through”. It was also in the 1990s that ADHD’s pervasive comorbidity with depression, anxiety, mood, and autism spectrum disorders was established. At the same time, researchers were beginning to describe deficits in executive functioning and emotional dysregulation that became targets of substantial research in the 21st century. Even with the 1990s recognition that ADHD is a lifetime disorder, equally present (in different forms) in both men and women, medical schools and continuing medical education courses (required for re-licensure of health professionals) have only begun to teach the most up-to-date, evidence-based knowledge to the medical community. There still is much misinformation and lack of knowledge among primary care professionals and the public. Most cases of ADHD start in utero, before the child is born. As a fetus, the future ADHD person carries versions of genes that increase risk for the disorder. At the same time, they are exposed to toxic environments. These genetic and environmental risks change the developing brain, setting the foundation for the future emergence of ADHD. In preschool, early signs of ADHD are seen in emotional lability, hyperactivity, disinhibited behavior and speech, and language and coordination problems. The full-blown ADHD syndrome typically occurs in early childhood but can be delayed until adolescence. In some cases, the future ADHD person is temporarily protected from the emergence of ADHD due to factors such as high intelligence or especially supportive family and/or school environments. But, as the challenges of life increase, this social, emotional, and intellectual scaffolding may no longer be sufficient to control the emergence of disabling ADHD symptoms. Throughout childhood and adolescence, the emergence and persistence of the disorder is regulated by additional environmental risk factors such as family chaos, as well as the age-dependent expression of risk genes that exert different effects at different stages of development. During adolescence, most cases of ADHD persist. And by the teenage years, many youth with ADHD have onset with a mood, anxiety, or substance use disorder. Indeed, it is essential for parents and clinicians to monitor ADHD youth for early signs of these disorders. Prompt treatment can prevent years of distress and disability. By adulthood, comorbid conditions increase, including obesity, which likely impacts future medical outcomes. Emerging data shows people with ADHD to be at increased risk for hypertension and diabetes. ADHD adults tend to be very inattentive but show fewer symptoms of hyperactivity and impulsivity. 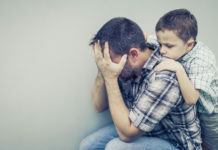 They remain at risk for substance abuse, low self-esteem, injuries due to accidents, occupational failure, and social disability, especially if they are not treated for the disorder. ADHD has been documented worldwide in 5% of the population. Sixty-seven percent (67%) of ADHD children grow into ADHD adults and seniors. ADHD is heritable, runs in families, and is impacted by physical environment and familial lifestyle. In youth, rates of ADHD are higher in males than females, but these rates even out by adulthood. ADHD coexists and is often masked by a number of other disorders—anxiety, depression, spectrum bipolar and autism disorder, substance abuse, alcoholism, obesity, risky behaviors, and disorganized lives, working memory deficits, and significant executive dysfunctions that affect personal, social, and work success. ADHD medications (stimulants and non-stimulants) are the most effective treatments for ADHD symptoms. Psychological support/training designed for ADHD, and lifestyle modifications, are important adjuncts to medicine. ADHD costs the U.S. economy more than $100 million annually in lost productivity, accidents, hospitalizations with comorbidities, and family and professional support of ADHD patients. ADHD is diagnosable and safely treatable in trained primary care practices. How do you know if you or someone you love has ADHD? Evaluate your life against the seven concepts above. Then get screened and diagnosed by a health care professional. The diagnosis of ADHD should be done only by a licensed clinician who has been trained in ADHD. That clinician should have one goal in mind: To plan a safe and effective course of evidenced-based treatment. When diagnosing adults, it is also useful to collect information from a significant other, which can be a parent for young adults or a spouse for older adults. But when such individuals are not available, diagnosing ADHD based on the patient’s self-report is valid. Just remember that personal, work, and family lives are improved with treatment. Research and technology related to ADHD improve all the time. Here is a great resource that I helped to develop, ADHD in Adults, for anyone interested in learning more about ADHD. It has evidence-based information and education for both healthcare professionals and the public. The website also features a new ADHD screener for predicting the presence of ADHD in adults. Stephen V. Faraone, Ph.D is a Distinguished Professor of Psychiatry and Neuroscience & Physiology at SUNY Update Medical University and a global expert on Adult ADHD.